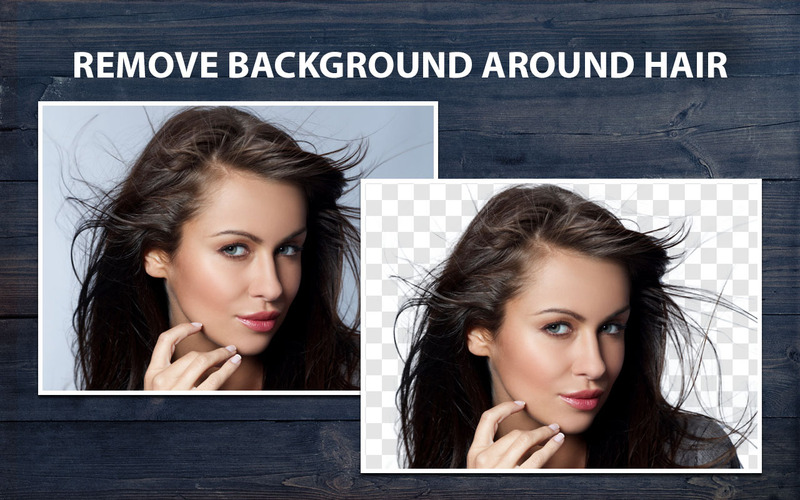 Instantly Remove & Replace Background on Your Photos! 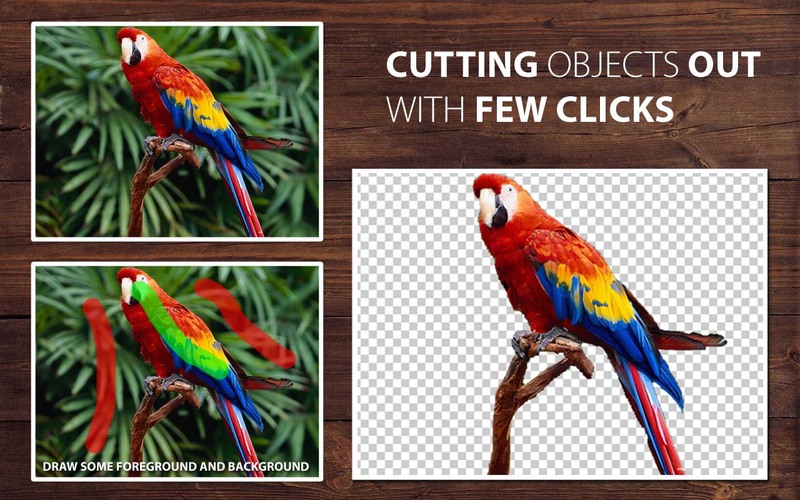 PhotoScissors easily handles complex semi-transparent objects like hair and allows you to get rid of the background of such pictures as easy as with any other scenes. While in other tools you have to deal with hair literally pixel by pixel, with PhotoScissors you save hours, because the Magic Marker tool efficiently deals with transparent objects too. Cutting out a background from photos is a popular picture editing procedure. Indeed, there are dozens of possible applications for PhotoScissors: uploading product pictures to eBay or Amazon, preparing photos for job seeking or dating websites, replacing a boring background with a more picturesque one or a solid color, creating photo jokes, collages, retouching vacation photos for fun or for a better impression and plus many more. In the real world, some objects are transparent. And removing backgrounds from photos with such objects on them is pain. But with PhotoScissors you can effortlessly change one background to another thanks to the transparent marker tool that denotes areas that should retain both foreground and background textures. 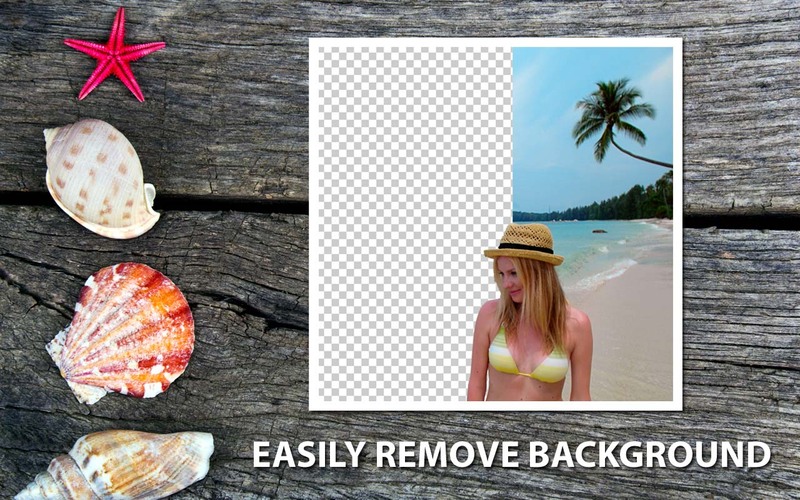 PhotoScissors background removal tool easily extracts objects and remove background from photos. All you need to do is highlight some of the foreground and background and our algorithm takes care of details. Not only is PhotoScissors very efficient in removing unwanted backgrounds from photos, the tool is also extremely easy to use. 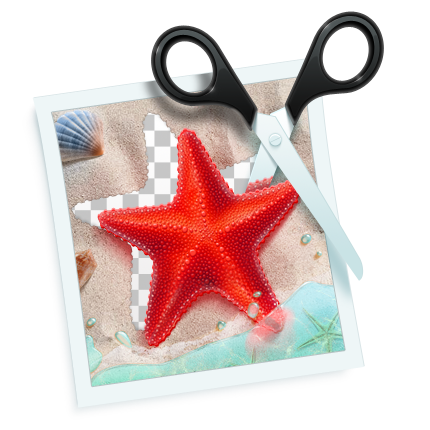 Unlike advanced graphical programs, PhotoScissors is user-friendly and straightforward clipping tool. With only basic picture editing skills, you can achieve excellent results comparable to those produced by specialized solutions. The program features anti-aliasing, feathering and halo-prevention options for the best quality of the cutout. 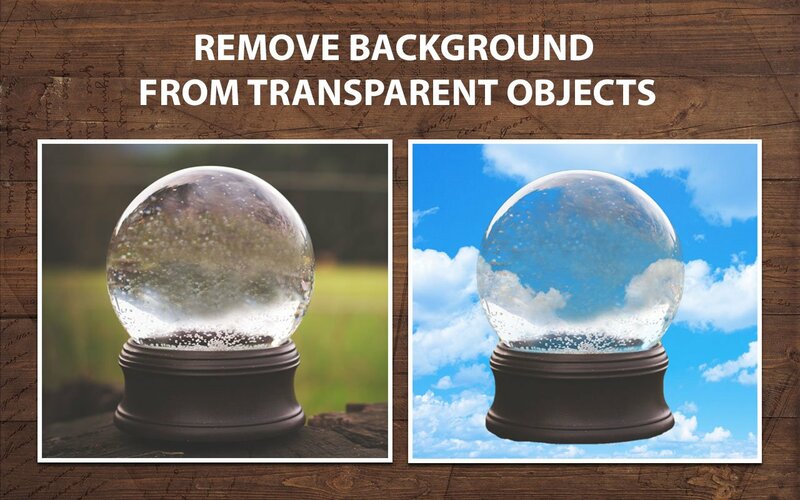 Coupled with transparency support it, gives you the best results, even on complex backgrounds. 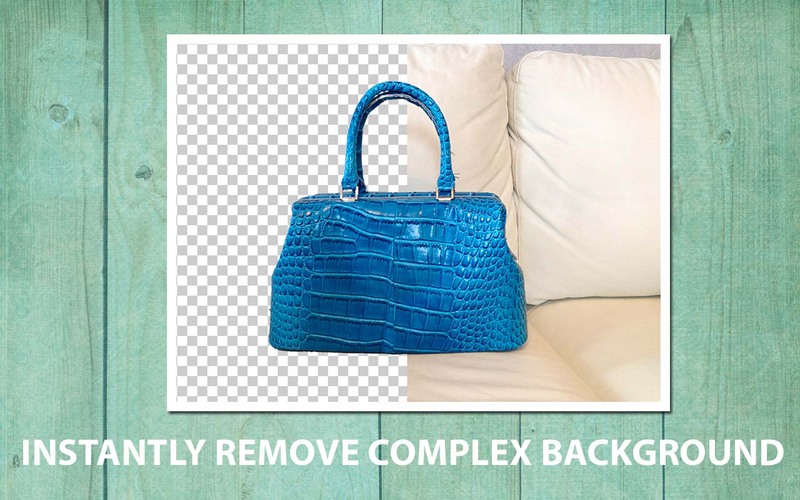 I am very impressed with this simple and powerfull background remover software. Works as advertised. Really nice app, swapped backgrounds on my photos without photoshop. Excellent app to remove unwanted background from my photos, extremely easy in use! Now I can easily cut out unwanted background! Photoscissors makes it an easy and time saving excercise to remove backgrounds from photos - easier than in Pixelmator and easier than in Photoshop. It's great for people who don't know - or don't want to learn - how to use Pixelmator or Photoshop and the results are better than a beginner could obtain in either Pixelmator or Photoshop. It's s a simple case of painting the part (or parts) of the image you want to keep with the green brush and the parts you don't want to keep with the red brush. The software is quite "intelligent” in that it is able to recognise, without explicit user input, parts of the object that should be kept and which it would be impossible to accurately paint green. Spectacles for example seem to be identified by the software as belonging to faces despite the fact that sepctacles jut out of the side of faces. Quite impressive. The recent update does seem to have smoothed out the edges of the "cut” image although, and I can't be sure about this, perhaps the resulting image is not quite as sharply cut from the background as in the previous version of Photoscissors 2. In any case I use Pixelmator to smooth out the "cut” image - to ever so slightly blur the edge so that I can blend the image into a new background using Pixelmator. I would prefer the option to have a more rugged but possibly pixel accurate cut out that I could then smooth in an image editing program. It's a great, unique and very effective product though and I would not hesitate to recommend it.